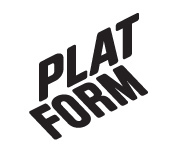 March 2004 – Platform r.f. Friction is an exhibition with works by Jasper Budel (NL) and Markus Lerviks (FI). The works of Budel and Lerviks are manipulative and deceptive. They create an inner anxiety by blending contradictory feelings; fear and compassion, sadness and irony. The exhibition consists of installations and videos that maliciously confront the spectator and therefore have the exceptional ability to »get under skin». The exhibition materialises a »field of friction» transforming the space into a mental map or itinerary in which the works are reciprocal to each other as well as to the visitor. Budel’s installation »Too sad to cry», consists of 470 large silkscreen-printed paper bags, and a video installation. Its size is Leviathan and will yield the spectator to superior numbers. Yet the self-portraits on the bags and in the video are vulnerable, pitiful and defy cruelty in the same time. Lerviks shows three different works, two older video installations (»Easy pressure», »No Title») along with a new piece, »Keep it clean». The installation consists of two monitors placed on a wall next to each other. The image in the first monitor is of an ice-hockey goalkeeper trying to manage his given task. In the other monitor there are short sequences of a food-struggle within the bird kingdom. The installation deals with two extremes of control, the human in contrast to animal nature. Friction is the second collaboration between artists-run spaces Platform (Vaasa) and MORGEN (Rotterdam). In 2002 MORGEN participated with four artists in the performance festival MOPE02. Friction is an exhibition with works of Jasper Budel (NL) and Markus Lerviks (FI). The works of Budel and Lerviks are manipulative and deceptive. They create an inner anxiety by blending contradictory feelings; fear and compassion, sadness and irony. The exhibition consists of installations and videos that maliciously confront the spectator and therefore have the exceptional quality to »get under skin». The exhibition materialises a »field of friction» transforming the space into a mental map or itinerary in which the works are reciprocal to each other as well as to the visitor. Budel is showing an installation »Too sad to cry», which consists of 470 large, silkscreen-printed paper bags, and a video installation. Its size is Leviathan and will yield the spectator to superior numbers. Yet the self-portraits on the bags and in the video are vulnerable, pitiful and defy cruelty in the same time. Lerviks shows three different works, two older video installations (»Easy pressure», »No Title») along with a new piece called »Keep it clean». The installation consists of two monitors placed on a wall next to each other. The image in the first monitor is an ice-hockey goalkeeper trying to manage his given task. In the other monitor there are short sequences of a food-struggle within the bird kingdom. The installation deals with two extremes of control, the human in contrast to the animal nature.